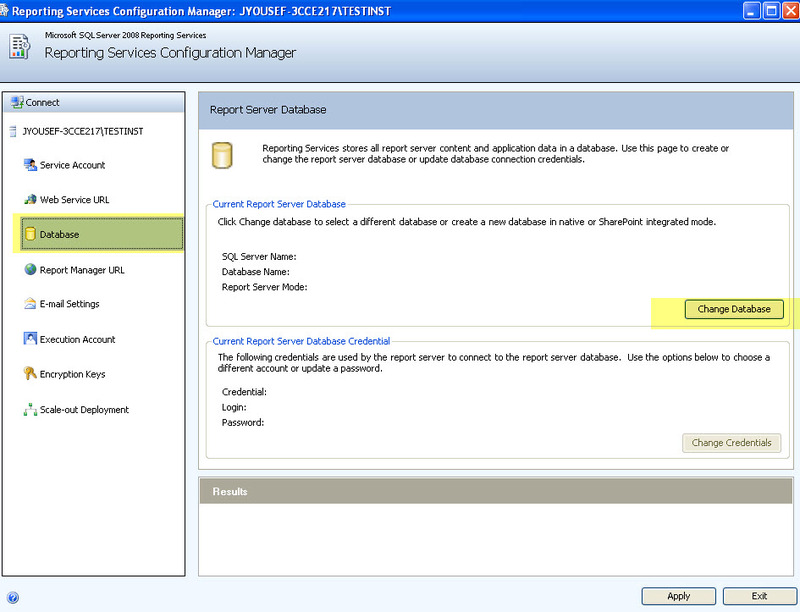 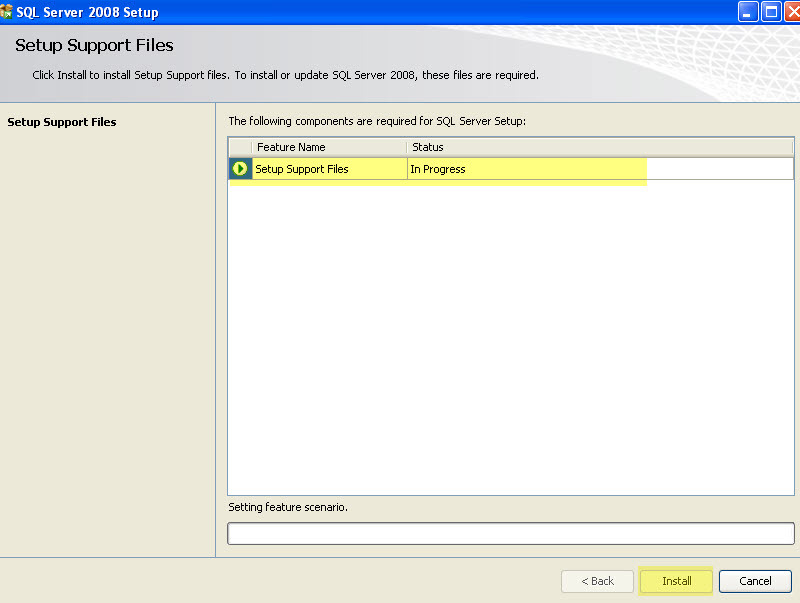 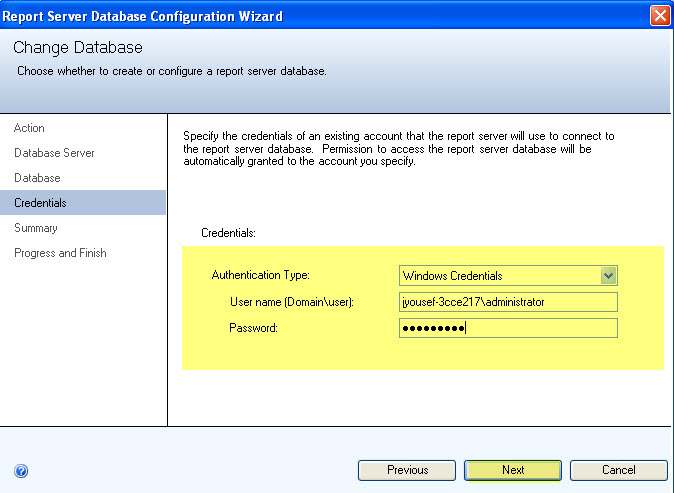 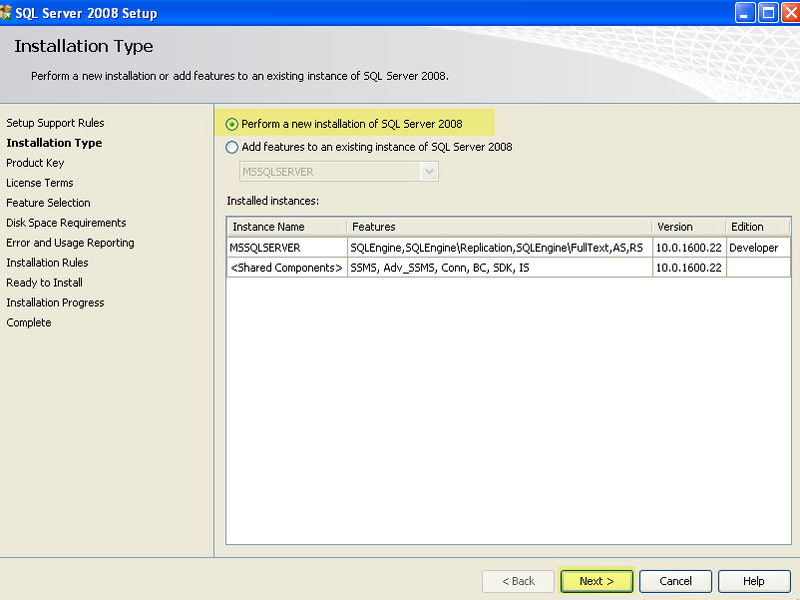 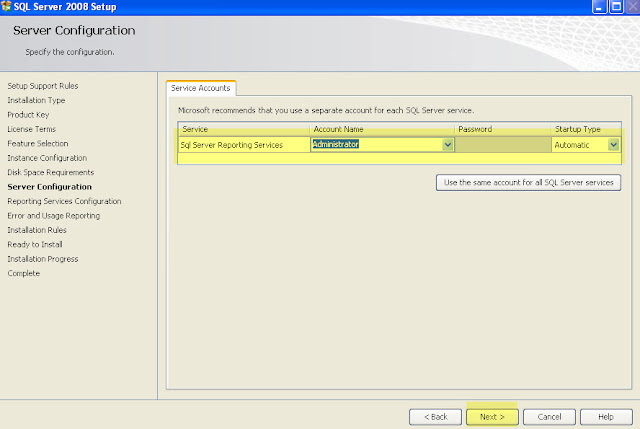 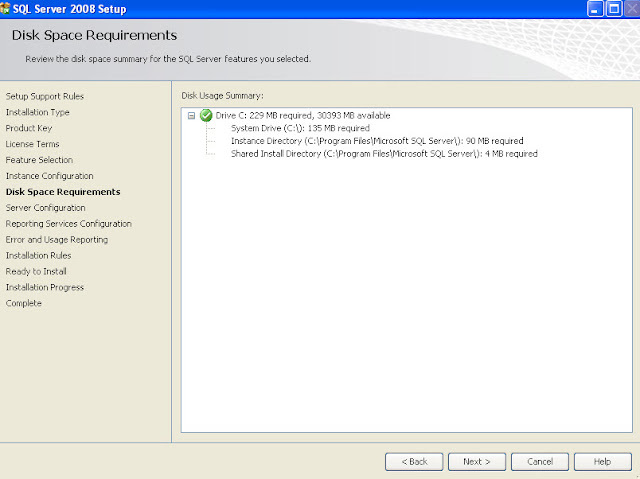 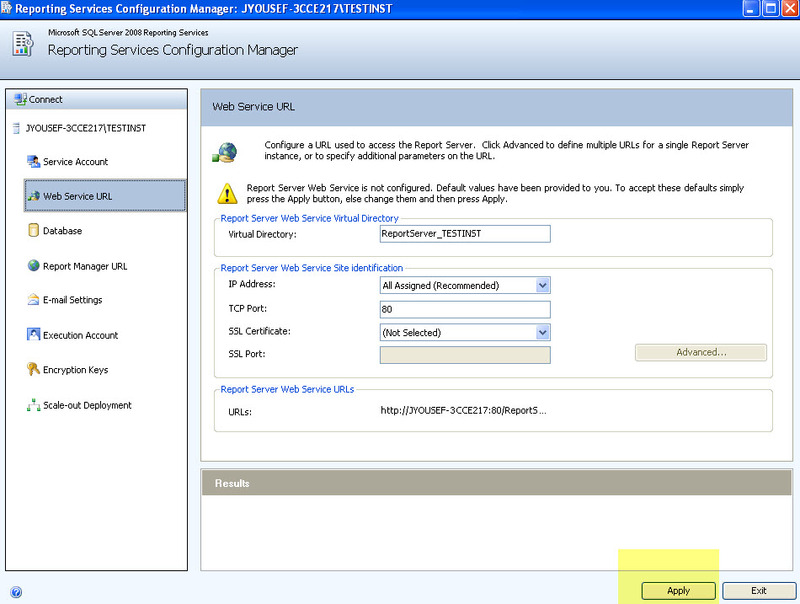 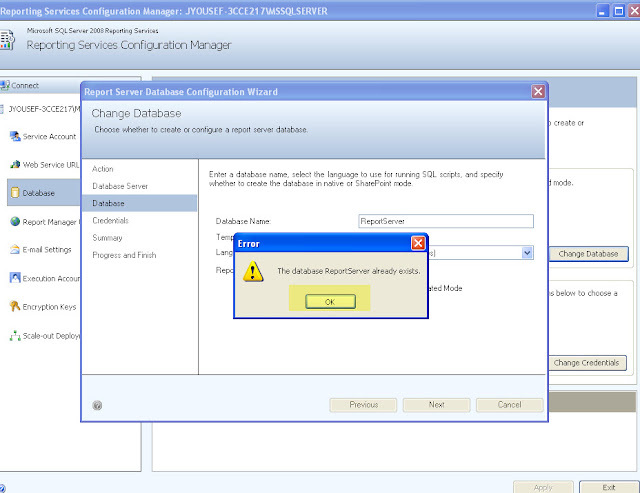 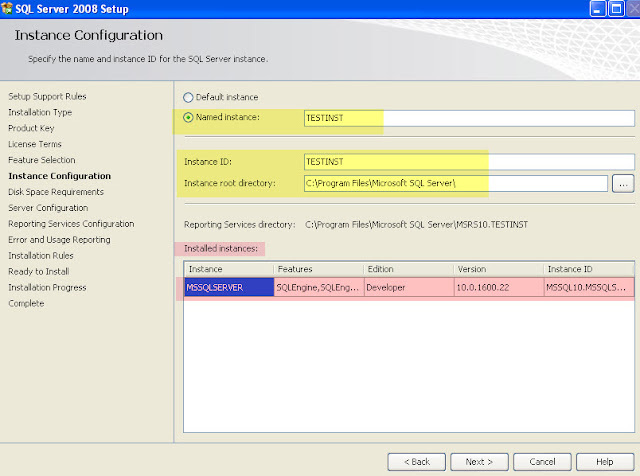 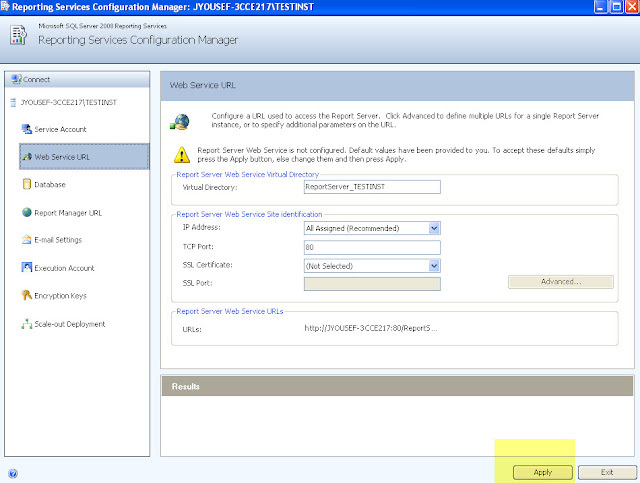 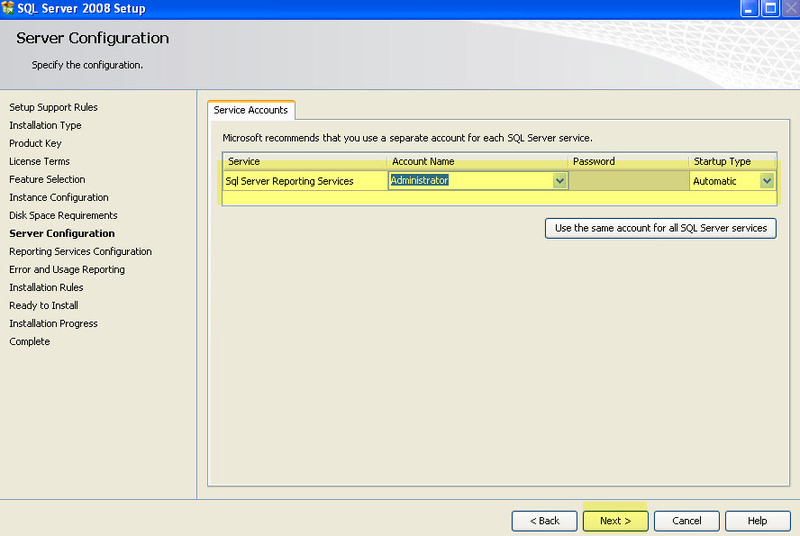 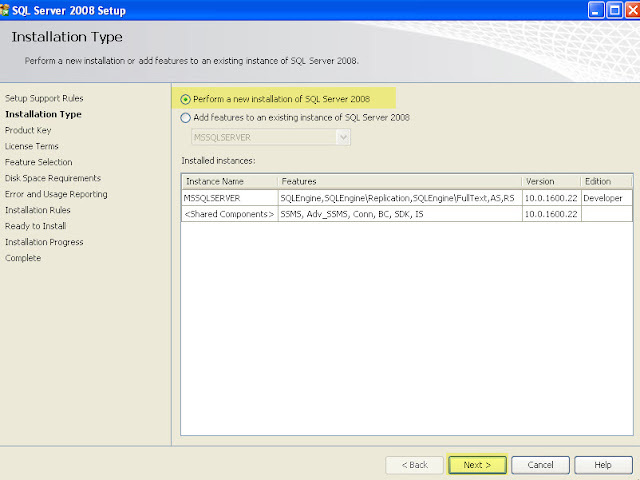 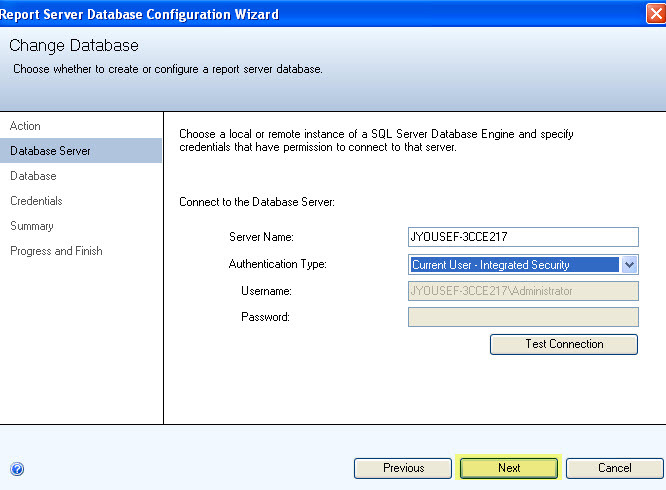 Another SQL Blog - Jason Yousef: Add SSRS 2008 named instance to the same server. 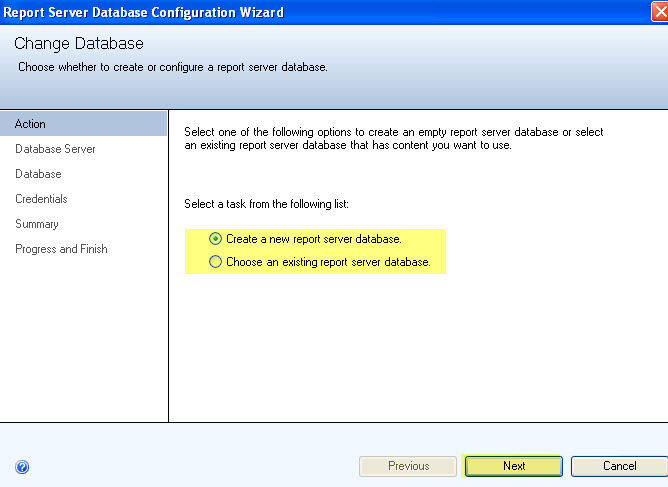 A recent questions about how to add another instance of SSRS, couldn't find any that talking about 2008, anyway I decided to help by creating some screen shots. 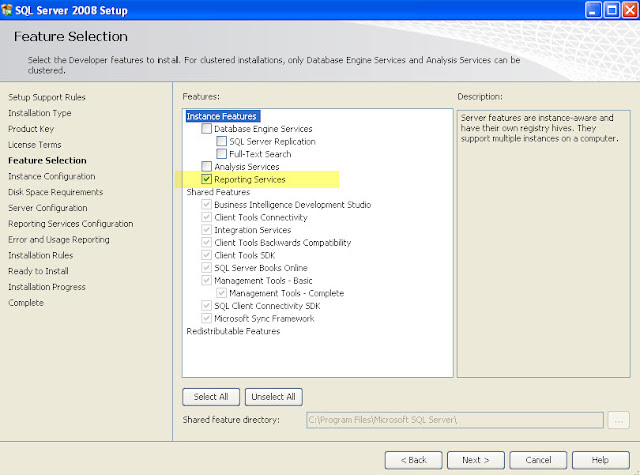 The installation is straightforward, you just pop the CD, run the installer, select Reporting services from the "Feature Selections", then select "Named Instance", configure and you're done ! 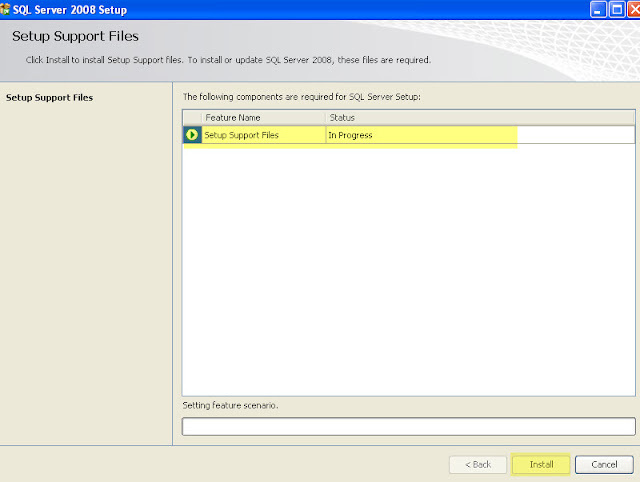 The installation files and additional checks. 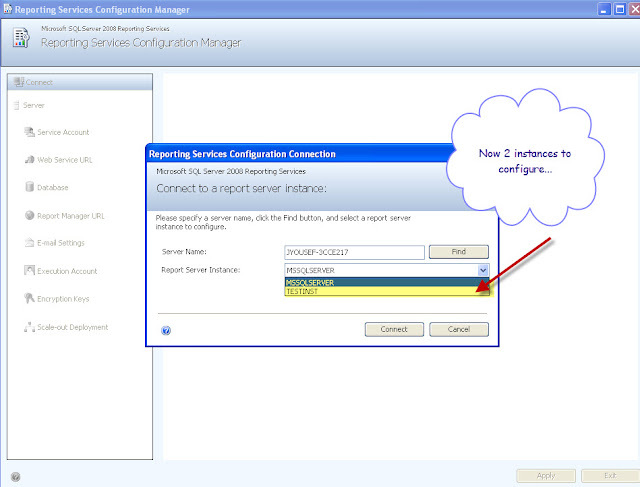 named instance or you'll get an error ! 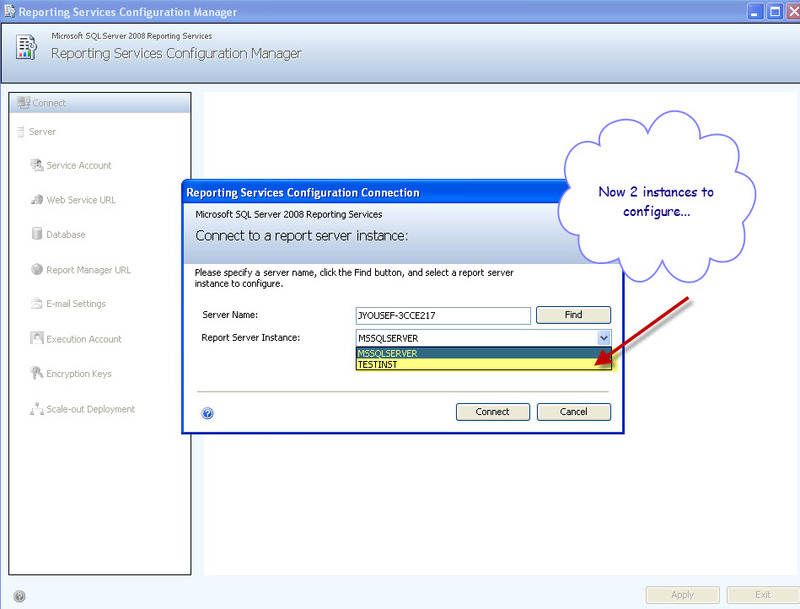 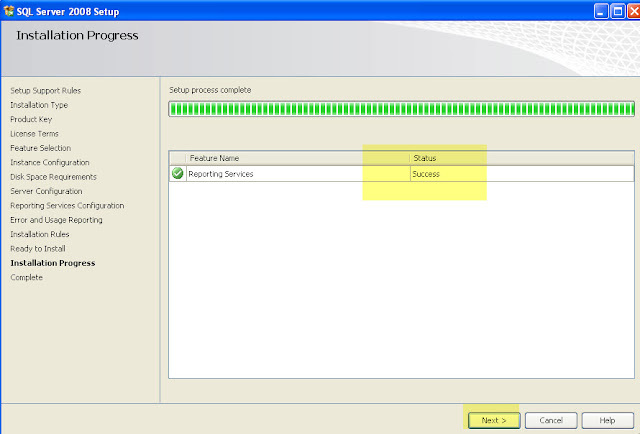 Selecting the new instance to configure... Hop to the database tab to install or point to an existing DB. 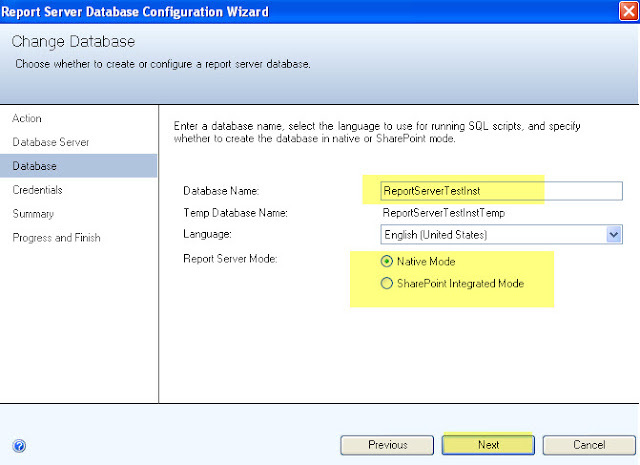 I'm already using ReportServer default DB for the first instance, so I'll need to come up with a new name for the new instance to use ! 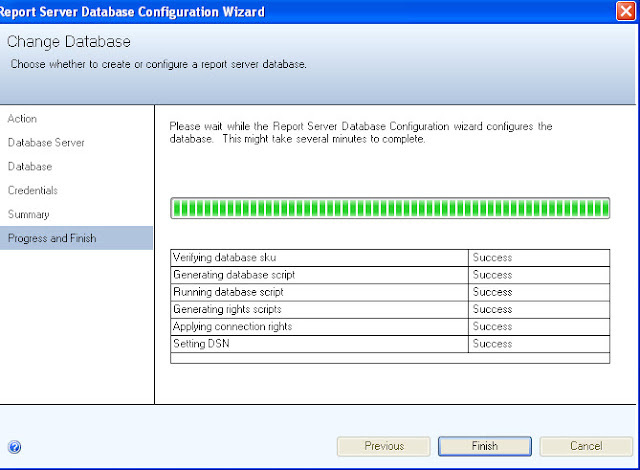 I'll create a new DB. On which SQL server the DB will be created in ! 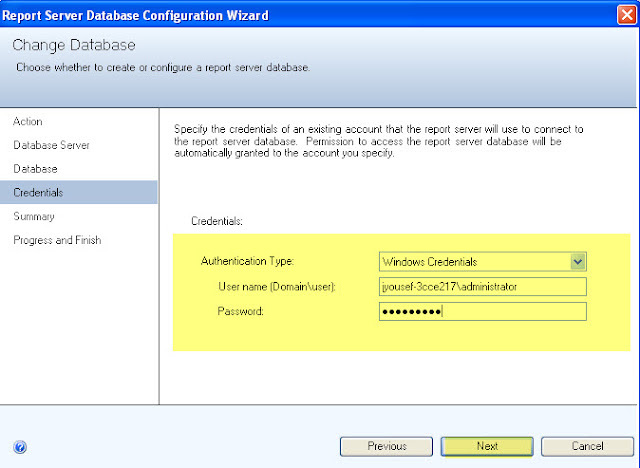 and which account the wizard will use to connect to that SQL box. 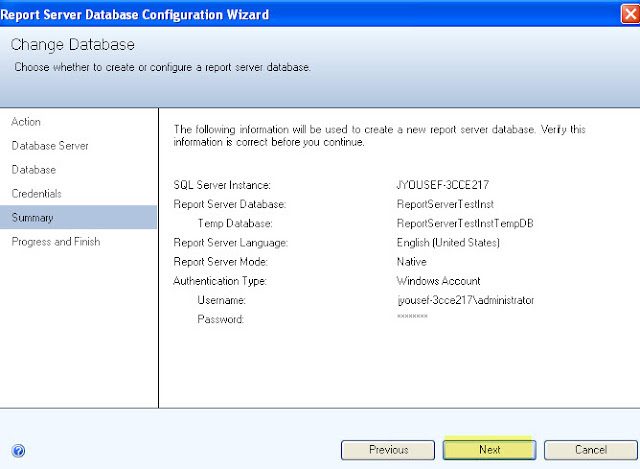 Name of the new DB. 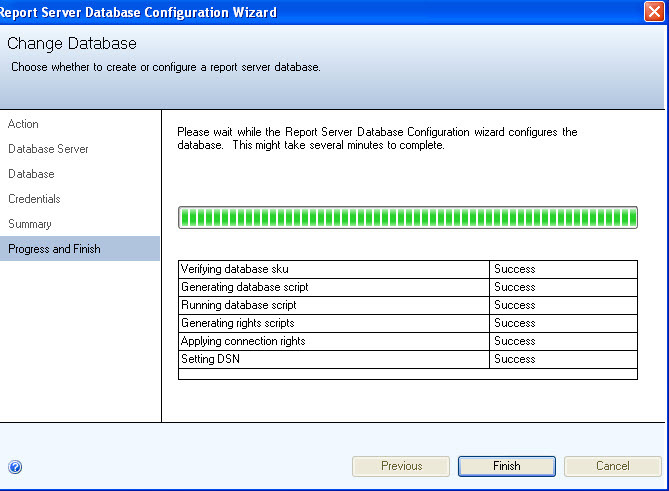 Credentials for the new DB. 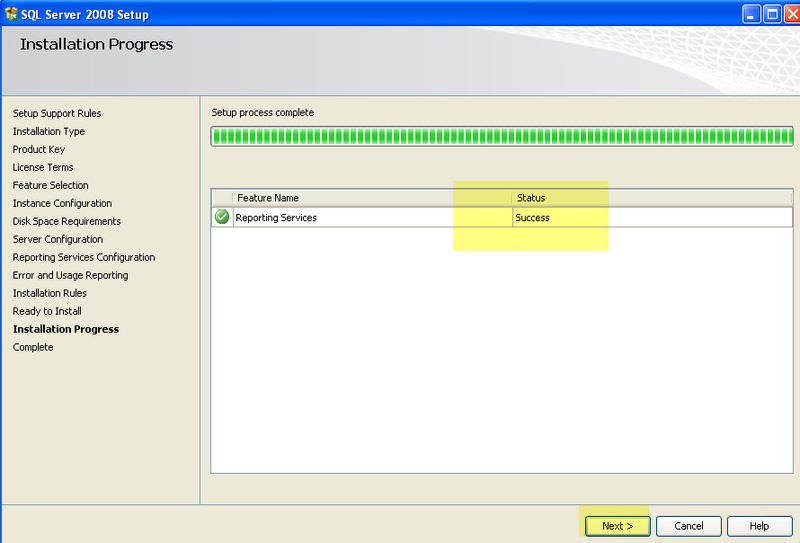 2 Mins and you're done. 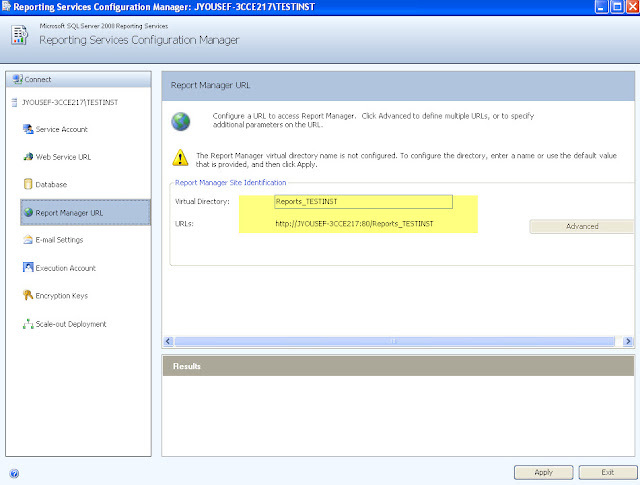 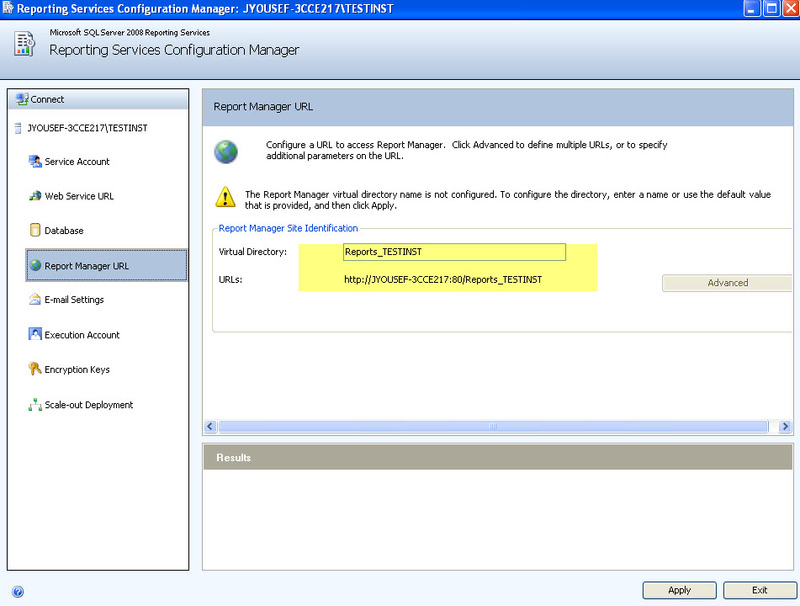 Initialize the web service URL, which port and which virtual directory..
Report server URL to view the reports..for user access. 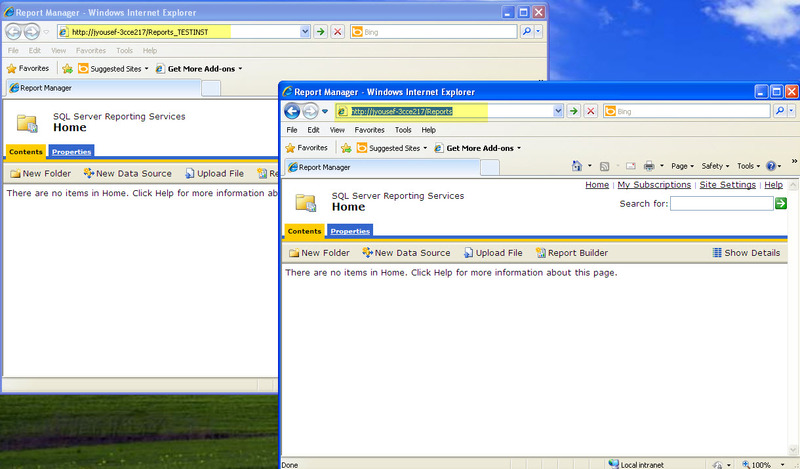 the 2 instances and the SSRS URLs.